Born in Godella (L’Horta). Bachelor Degree in Philosophy and a Doctorate in Catalan Philology. Professor in the Catalan Philology department of the University of Valencia until the academic year 2007-2008. 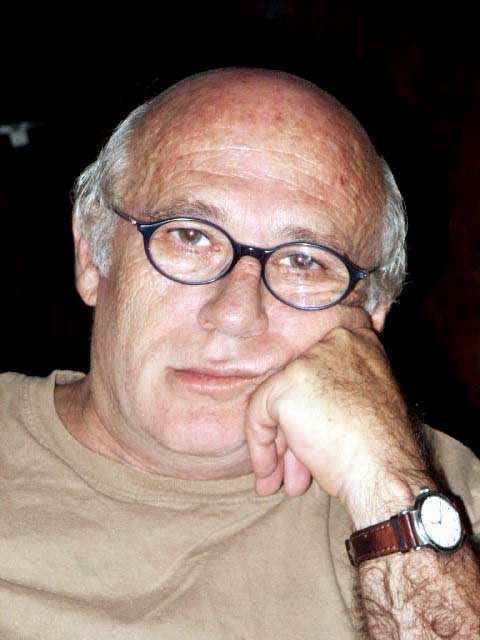 He founded and managed the literary magazine Daina, now no longer in circulation, as well as the literary criticism magazine Caràcters, revista d’informació literària, whose second edition appeared in 1997 entitled Caràcters, revista de llibres. In 1983 he began his poetic works with the publication of a collection of poems Vel de claredats (Prometeo, Valencia,1983). To be followed later by: Albes d’enlloc (Edicions 62, Barcelona, 1985), Ritme de clepsidra (Tres i Quatre, Valencia, 1986), Cercles de la mirada (Bromera, Alzira, 1998), which won the Ausiàs Marc prize, and Del clam de Jasó (Eumo-Cafè Central, Barcelona, 2002), a book of poems in prose, translated into Spanish by Antonio Cabrera (Sobre el lamento de Jasón, Denes, Valencia, 2009). In collaboration with Anna Montero he has translated the books of Charles Baudelaire: Petits poèmes en prose (Petits poemes en prosa, Edicions del Mall, Barcelona 1984), that were re-edited in Valencia under the title of L’Spleen de París (Tres i Quatre, 1994) and Les paradis artificiels (Els paradisos artificials, Edicions del Mall, Barcelona 1985). In 1986 his translation of L’homme approximatif, by Tristan Tzara was published (L’home aproximatiu, Gregal, València), and, in 1993, Mon coeur mis à nu (El meu cor al descobert), by Charles Baudelaire and a selection of the Essais, by Michel de Montaigne (Assaigs breus), the last two printed by the publishing house Albatros of Valencia. In 2006 the publishers Proa launched its publication of the three books of Essais by Michel de Montaigne, translated and edited by Vicent Alonso (2006-2008). Book I deserved the Crítica Serra d’Or prize and, most recently, the Qwerty prize of Barcelona Televisión. The translation of Essais deserved the Ciutat de Barcelona 2008 prize to the best translation into catalan. In 2012 he finished his translation of Michel de Montaigne’s work with the publication of Journal de voyage (Diari de viatge, La Mansarda, Barcelona, 2012). He has also published a new edition of L’homme approximatif, de Tristan Tzara (L’home aproximatiu, Lleonard Muntaner editor, Palma, 2013).